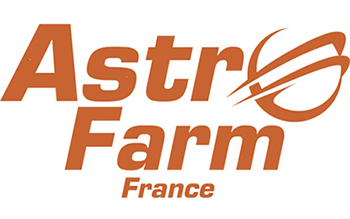 Astrofarm is an adult only astronomy centre set in the glorious French countryside with velvet dark, clear skies, a fully equipped observatory, tailored accommodation and a huge warm welcome! Situated in Confolens in the Charente region of the South West of France, our location offers stunning views, great weather and a taste of the French life. From week-long holidays, short weekend breaks, day courses and evening guided stargazing, we have something for both the complete beginner and expert astronomer and everyone in between. We pride ourselves on our hospitality and have carefully designed our centre to provide you with a great experience - so good that you will want to come back time and time again. Whether you live locally and come for an evening or from further afield and stay over, you will enjoy the same red carpet treatment! The best thing is that you don't even have to be interested in stargazing at all to appreciate the hospitality & the beautiful surroundings. This was our first visit but certainly not our last! An amazing setting in a beautiful and unspoilt part of France with all-round night sky free of light-pollution. We'll definitely return! This place is incredible for both astronomers & photographers, you are treated to stunning dark skies and an abundance of knowledge. The perfect gift for that 'very hard to buy for' friend or family member! Our hugely popular e-vouchers for that 'hard to buy for friend or family member, make gift giving easy! You can buy an Astrofarm gift voucher for any amount toward Astrofarm nights of B&B (you can add extras at the time of booking your stay). We can add your own personalised message and customise the design for any occasion. The vouchers are not time limited and you can add to your 'credit' at any time. We have made vouchers for Christmas, special birthdays, anniversaries and even Mothers Day! Email Sue at admin@astrofarmfrance.com, write your message, request a voucher design for approval and we will send you the payment details. We do astronomy at Astrofarm! With amazing skies, a fully equipped observatory, tons of kit, on-site tuition, courses & workshops, guided stargazing evenings, special events, astro-photography ...... we have it all going on at Astrofarm. Astrofarm astronomy centre includes accommodation and meals to suit the needs of the 'up all night' astronomer looking for flexibility and warm hospitality. Of course, you don't need to be into astronomy to enjoy our fabulous accommodation! Check availability of accommodation and our current special offers and deals. Book and pay directly through our quick and easy booking pages or contact us directly to talk through your plans.